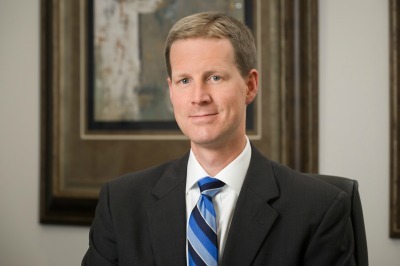 Keith’s practice includes employee benefits and executive compensation. He counsels clients on qualified plans, including defined benefit pension plans, profit sharing plans, 403(b) plans, 457(b) plans, and employee stock ownership plans (ESOP). He prepares and reviews non-qualified deferred compensation plans for compliance with Code Section 409A and other applicable laws. He prepares and reviews welfare benefits arrangements, including cafeteria plans, flexible spending account plans, dependent care spending account plans, wrap plans, wellness plans, and other fringe benefit plans. He reviews and prepares plan documents, summary plan descriptions, policies, procedures, and other participant communications for retirement and welfare benefit plans. He counsels fiduciaries regarding their obligations and responsibilities related to retirement and welfare benefit plans. Keith counsels clients on matters related to COBRA, HIPAA portability, and the Patient Protection and Affordable Care Act. He regularly works with clients to comply with the reporting requirements of the ACA. He counsels multiple employer welfare arrangements (MEWA) and voluntary employees' beneficiary associations (VEBA) on a variety of state and federal law issues. Keith works with clients responding to audits by the Internal Revenue Service and the U.S. Department of Labor. In addition, he works on litigation matters involving ERISA, retirement and welfare benefit plans, and non-competition agreements. He assists clients with employee benefits issues that arise in connection with mergers and acquisition transactions.